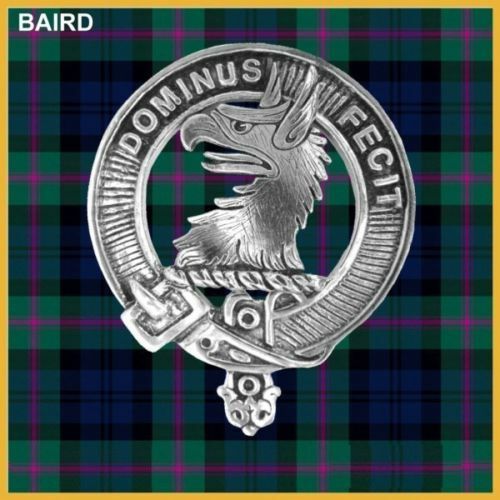 The Largest Creator of Clan Crest Products in the World! Anderson and Mac Andrew appear to mean simply Son of Andrew, but it is contended that even in its English form it may denote a servant of Scotland’s patron saint. This is certainly the meaning of the Gaelic form of the name Gillanders, Servant of Andrew. It seems likely that Andersons are of diverse stock, however their names are spelt. Although arms were granted to an Anderson of that ilk in the 16th century, there is in fact no place from which the name can derive. However, it rests on an extremely solid foundation of intellectual achievement, which first received European recognition when Alexander Anderson published his works on geometry and algebra at Paris between 1612 an 1619. He was born in Aberdeen, and his cousin David Anderson of Finshaugh was more locally celebrated for his mathematical skill. He earned the nickname of Davie-Do-a’-Things, and his most famous achievement was to remove a large rock that had obstructed the entrance to Aberdeen harbour. The family talent passed through a daughter to his grandson James Gregory, the inventor of the reflecting telescope. Adam Anderson, born in about 1692, was appointed one of the trustees for establishing the colony of Georgia, under the charter granted to General Oglethorpe in 1732. Many Scotsmen emigrated there, to build and hold its fort of St. Andrews against Spanish attack. But Anderson’s contribution was a scientific study of the commercial interests of the British Empire, published in 1765, shortly before his death. A later generation included James Anderson (1726-1796), who became Professor of Natural Philosophy at Glasgow University. He invented a method of diminishing the recoil in a gun, and, when the British government ignored it, he took it to Paris in 1791, where it was accepted with gratitude by the National Convention. His Institutes of Physics went through five editions during his lifetime and at his death he bequeathed all of his possessions to found Anderson’s University, where non-academic classes might be held. The Anderson name has been given even greater distinction since, by the Rev. William James Anderson, late editor of The Innes Review. Librarian of Blairs College, and scholarly editor of its documents. Among his contemporaries who use different versions of the name are Hector Mac Andrew, the finest living exponent of Scots fiddling in the tradition of Neil Gow; and Farquar Gillanders, who brings this Gaelic form of it from his birthplace of Applecross in Ross-shire, to the department of Economics and Political Science at Glasgow University.